Inside the Rise of the ASMR CommercialHow a niche internet thing went mainstream. 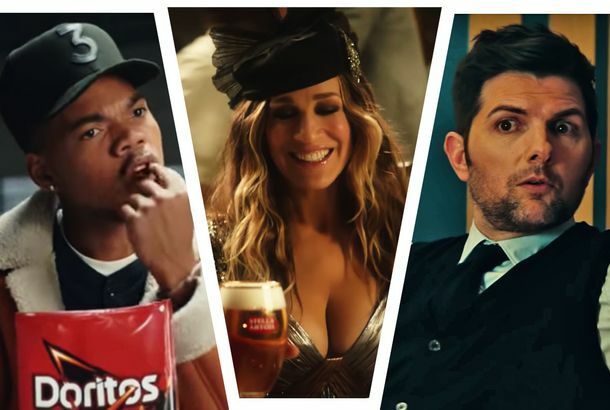 All the Commercials Released During the 2019 Super BowlUnlikely collabs abound. Behold, Here Are This Year’s Best Celebrity Halloween CostumesHarry Styles as Elton John? Yes, please. Zoë Kravitz, One of Your Top Two Favorite Kravitzes, Cast in High Fidelity ShowThe series is headed to Disney’s upcoming streaming platform. Gemini Is a Glossy, Atmospheric L.A. Neo-NoirAaron Katz’s moody murder mystery has equal parts substance and style, but can’t quite stick the landing. Gemini Clip: Lola Kirke Tries to Protect Zoë Kravitz From a StalkerKravitz co-stars with Lola Kirke in this neo-noir murder mystery. Jude Law Debuts His Dumbledore in Fantastic Beasts Sequel Cast PhotoThe real stunner here is Zoë Kravitz, featured front and center. Why the Queer Characters in Rough Night Feel So RefreshingZoë Kravitz and Ilana Glazer play exes who still share a bond. Why Bonnie, Big Little Lies’ Most Underwritten Character, Deserved MoreOn Big Little Lies, perfection is impossible, and women’s interior lives should be recognized… unless you’re a black woman, apparently. Big Little Lies’ Music Supervisor on How the Finale’s Songs Were ChosenIt took a while to land on the Elvis Presley songs. In Praise of Reese Witherspoon in Big Little Lies’ Funniest SceneHooray for Madeline Martha Mackenzie. 11 Women Who Should Play Lisbeth Salander in the Dragon Tattoo RebootKristen Stewart, Rihanna, and more. Watch Scarlett Johansson and Kate McKinnon in the Crazy Rough Night TrailerComing June 16. Zoe Kravitz a Late Addition to Fantastic BeastsBecause why not? Watch Adam Green’s Aladdin TrailerThere’s gotta be a plot buried in that trippy set. Watch Penn Badgley, Zoe Kravitz, and Olivia Wilde Promote the 99 Percent SpringIt’s an activist training group borne out of Occupy Wall Street. Watch the Trailer for Yelling to the Sky, Starring Zoe Kravitz and Gabourey SidibeWhy is everyone sprinting all the time?